Here are two of the most important things when it comes to website monetization. Number one, you should know from the start that not every monetization model will work for your website. Your first pick doesn’t have to be a success, and it might take some work until you get to a model that works for you. But don’t t fret because, and this number two – there are plenty of ways you can try monetizing a website. One of them is bound to work, but because every website is a beast of its own, you just need to figure out what type of beast yours is. To get you started, here are a couple of the ways people are monetizing their websites right now. 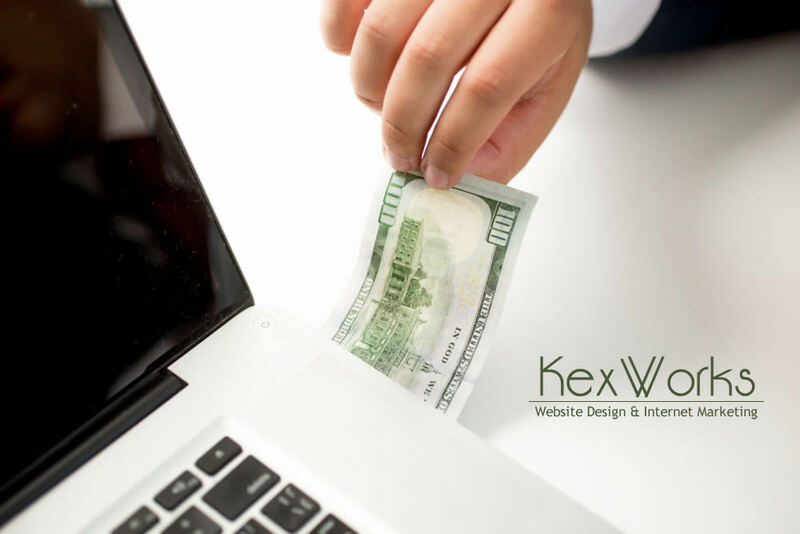 Let’s kick off with the most obvious of the obvious ways to monetize your website – selling ad space. It works similarly to the ads you see in newspapers and magazines – your website contains some sort of content. People come to see your content, and while they’re there, they can also see other things, like ads. So businesses can pay to have their ads displayed on your website. And that’s all true, however, website ads don’t have to work exactly like newspaper and magazine ads in the most important part – the part where you actually get paid. You can charge fixed costs for lending your website’s ad real-estate, but there are a couple of other models that govern when you get paid. In the paid per click model, you get paid a small amount of money whenever a visitor to your website clicks on an add. Another model says that you get paid per one thousand viewings of the ad. In another model, you get paid based on the visitor’s interaction with the ad. You also have to choose how will you approach prospective advertisers. There are companies that will make it easy for you, act as a middleman, and provide you with all the advertisers you can handle – for a fee. If that’s not too appealing to you, you can also try finding advertisers on your own, but be prepared to do a lot of virtual legwork on your own. Keep in mind that, in the bottom line, ads are almost a guaranteed stream of income that can take very little effort to set up. Your visitors will not like the ads, however, and keeping track of advertisers, especially if you’re doing it on your own, is time-consuming. There was a time when getting people to sign up for your mailing list was an unpleasant experience. But not anymore – the industry has developed ways that make it really easy for people to see your subscription call, and just enough obtrusive for people to go through it so they can enjoy your content. When you start building a decent mailing list, you can start with good old email marketing. You will send out emails to people on your mailing list, and those emails will have a specific purpose. You can promote products, distribute sponsored content, or even get people to come back to your website in order to boost your other monetization systems. The point with email marketing is that it gives you a line of communication with people, and it’s up to you to use it to make money. Remember, one particularly good email campaign can get you a lot of money, and it’s one of the favorite and most effective methods of online marketing. It does require some work, however – you have to generate new leads constantly, and you have to make sure your emails don’t bore people, or they will unsubscribe. There are two deals you can cut with a company whose products relate to the theme of your website. You can review their products as an affiliate, or you can just straightforwardly promote their products, also as an affiliate. Product reviews are simple – a company sends you their product, you review it, and create content based on that review. If you have nice things to say about the product, and if your review generates sales, you can get paid a pretty penny. You have to spread out these product reviews, however, because that will give you a chance to be picky about the products you choose to review. That way, you can review only the good ones, and avoid losing advertisers because you had to review their lesser products and you couldn’t bring yourself to say anything nice about them. And that happens. You’d be surprised how many companies have affiliate marketing programs that let you promote their products for a very nice lump of money. It’s one of the best ways to monetize your website if you’re good at it, even though there’s no guarantee you’ll earn anything.